Leonard Digges was provably a huge Shakespeare fan and a contemporary. Famous son of a famous son, his grandfather has a fighting claim to have invented both the telescope and the theodolite. His father published the first book in English on the Copernican theory. Leonard grew up in the Golden Age of English Theatre and wrote rather more about Shakespeare than he is known for in the authorship debate. His friend James Mabbe owned a volume of 'Rimas', Lope de Vega's poetry, which Digges compares unfavourably to Shakespeare's sonnets. His note on the flyleaf of Mabbe's copy, now at the Balliol College, Oxford, claims that Shakespeare's sonnets are the finest of their kind. When in London, young Digges lived with his mother and his less famous male parent, stepfather Thomas Russell, a neighbour of Shakespeare who is remembered with a legacy in Shakespeare's will and is one of the Overseers. So without photographs of them together, we can at least deduce a close family acquaintance with the playwright, hopefully with small fear of contradiction. You don't leave money and the task of executing your will to a stranger. Leonard’s first eulogy was published as a Preface to the First Folio edition of Shakespeare’s plays in 1623. It unequivocally links the man from Stratford, recently honoured with a monument there, with the man who wrote the plays. 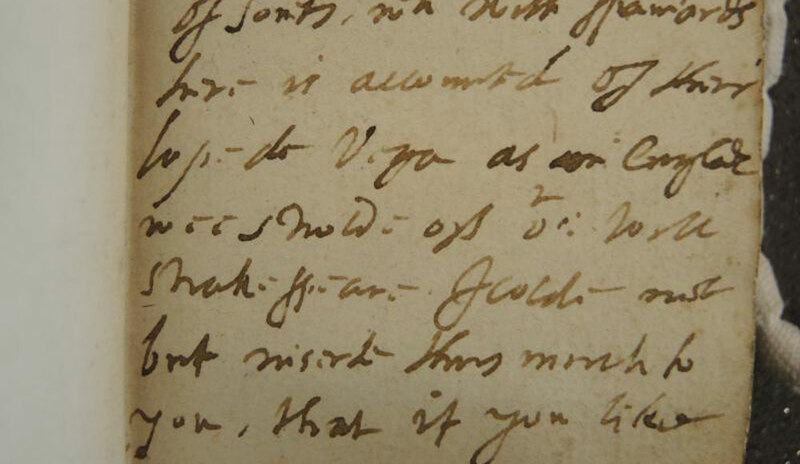 Digges' less famous, second eulogy is ignored by Oxfordians. 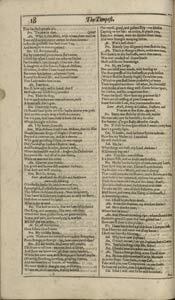 Published in the Second Folio, the whole is reproduced here as it is rather difficult to find online. After reading it in conjunction with his first eulogy, it is impossible to dismiss its testimony as identifying anyone other than William Shakespeare of Stratford as the author of the plays it specifically mentions. How's that for putting your foot down? Taken together, both eulogies unequivocally connect Leonard Digges the scholar, both with the man from Stratford to whom he referred in his first eulogy and with the man who wrote the work contained in the First Folio. It provides a firm connection with The King's Men, The Blackfriars Theatre and The Globe and the success of the work at the box office. What more could be needed by way of proof than this detailed description of plays, audiences and author by a close family connection? Yet there is more. Lots more. Lifelong rival Ben Jonson's poem, surely the greatest ever written by one poet about another, strings of other mentions, legacies to players in The King's Men don't leave the smallest crevice for doubt. Digges’ second eulogy hooks up all the facts that Oxfordian theory has to keep separate. The anti-Stratfordian response to the first eulogy is already sufficiently ridiculous so they leave the second eulogy entirely alone. ls argument enough to make that one. To heare Malvolio that crosse garter'd Gull.